Like many children who grow up in family jewelry businesses, Chuck Smith began his jewelry career pushing brooms and going to the post office. Eventually, in high school, he learned the craft of polishing fine jewelry and simple repair work. Charles, Chuck's father, insisted that he "only hired college graduates". With that, Chuck pursued his interests of math and science at NC State University. Chuck graduated NC State with a Nuclear Engineering degree. After working for the federal government overhauling nuclear submarines for five years, he rejoined the family jewelry business in 1990. 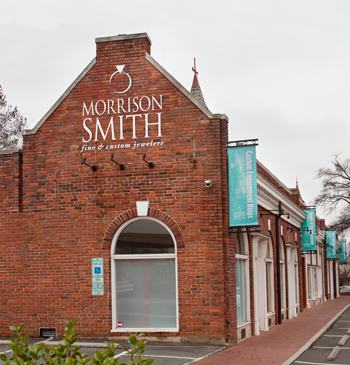 Chuck has worked every facet of the business over the past 26 years and is now the owner of Morrison Smith Jewelers of Charlotte along with his wife, Pam, who joined the company business in April 2006. 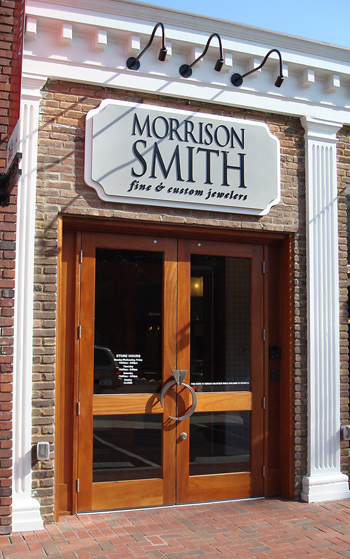 Smith has six master craftsmen working with him at the business. "We have the largest group of jewelers working together in this area, maybe in the state. The uniqueness of our jewelry store is that we have all the craftsmen that work in the jewelry business in our store, such as the goldsmiths, the stone setters, the machine engraver, the watchmaker, the bead stringer, Certified Graduate Gemologists, plus trained or experienced sales staff with gemological training. Some of them have been working together for 20 or 25 years. We are members of the American Gem Society, a select group of jewelers with proven ethics, who have attained high standards and education in the industry." The Smith's have assembled perhaps the finest jewelry store staff in the country.